1. 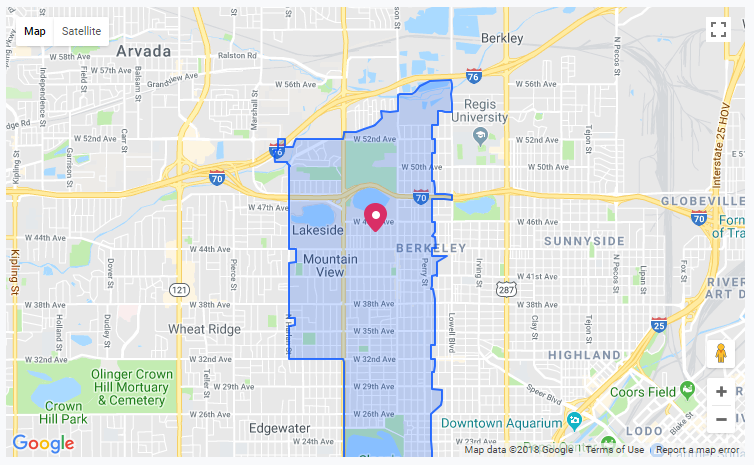 The very first step would be setting up your product to hit the API through cURL in order to pull back location information about the schools within overlapping attendance zones of the address entered. 2. 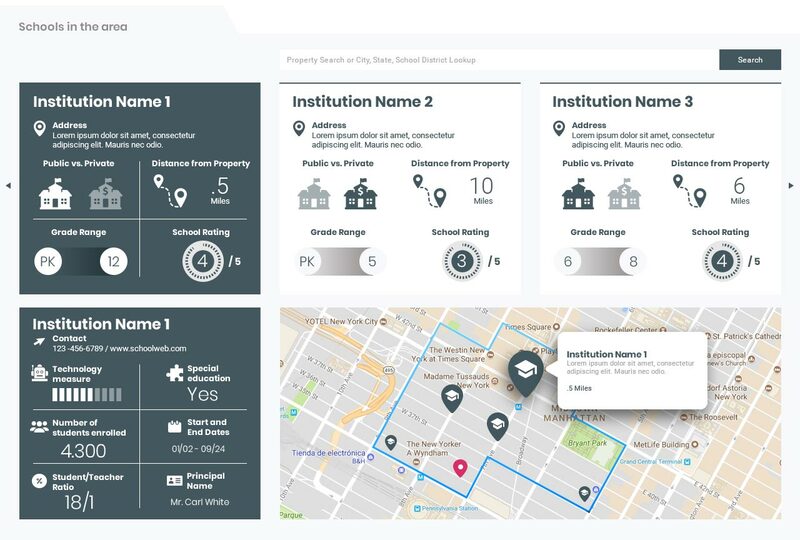 This API call returns an array containing property information along with specific details about schools in the applicable attendance zones around the property. 3. The next step is to initialize the Google Map per the same requested address. You can find details about that process here google map api. 4. Once you have completed the map initialization, then you need to set the marker pins per the latitude and longitude for the school that you want to display. 5. Once you’re done with the marker pin setup, then this code should help you display the Attom school data on your Google map display for your product. If you aren’t already aware of the functionality available in the Google location autocomplete web service, you can view all of the documentation here. One very popular implementation for our partners is to make this service the first step in the process of collecting an address from their customers to ensure that it is valid and in good shape to pass to the API. In this guide, we will walk you through the necessary steps to take an address from the output of the Google location autocomplete web service and pass it to the Attom API to collect property details. The first step in the process is to ensure that you have the Google web service set up and in place on your application. You can find all of the steps for implementing the web service here - Google Places Example. 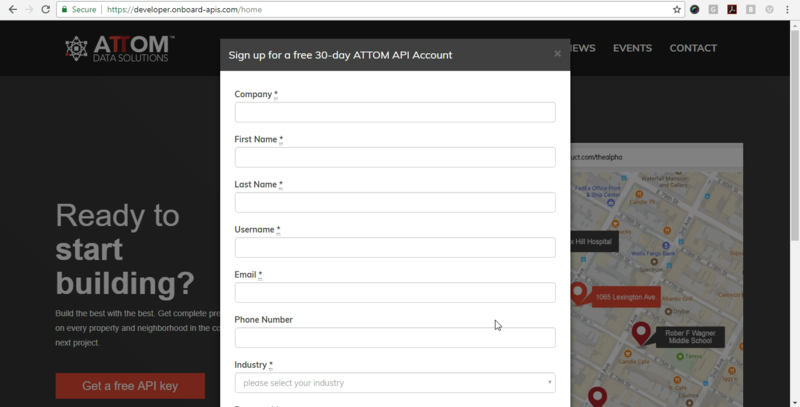 Once you receive the suggested address, you need to break the address into two pieces to pass to the Attom API. The Attom API accepts two parameters called “address1” and “address2” to search for a property. 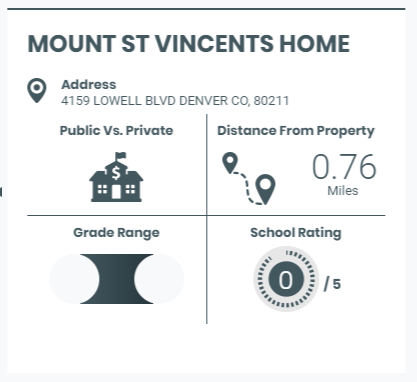 This can be done through separation via comma(,) values and the code below uses “4529 Winona Court, Denver CO United States 80212” address as example. Now you’re all set to start pulling data from the Attom API. 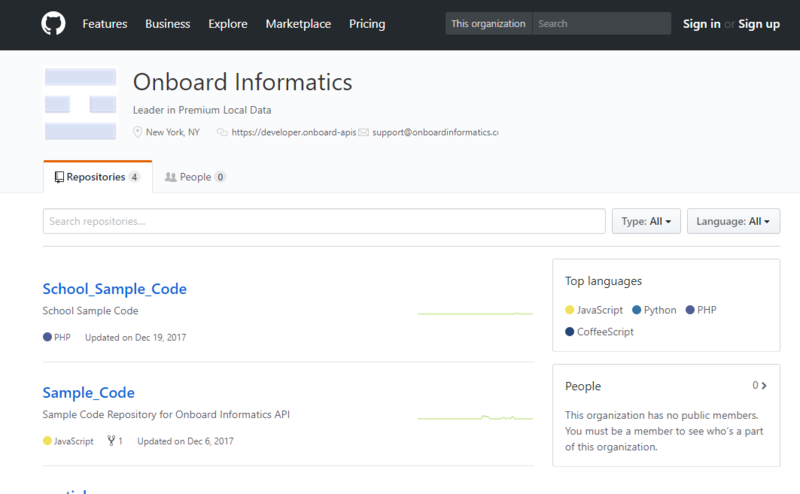 All of the different available API calls, response bodies, filtering options and interactive docs can be found in the API Docs page. This will help you construct the right response to feed your product! 2. If you like what you see, get signed up for a free trial API key by signing up here. This will give you 90 days to implement the API and make sure that you have time to complete testing. 4. 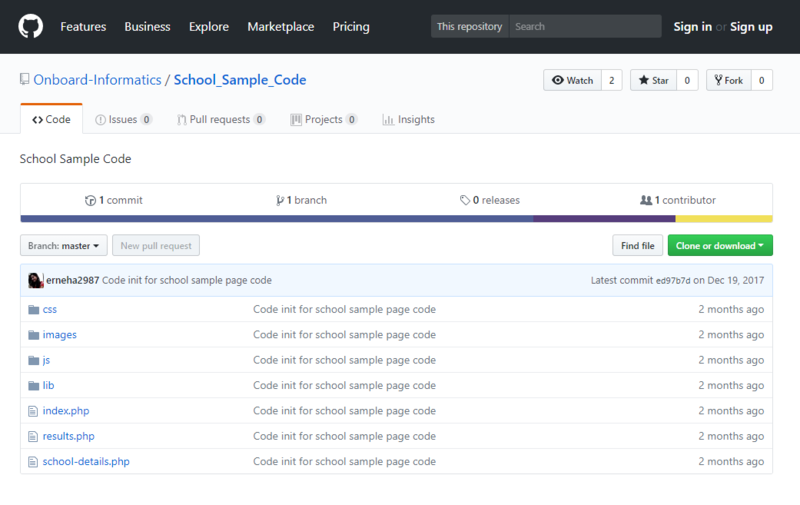 Use the gists to implement the demo page as shown or customize the data, colors, and functionality to fit your needs. - All of the schools listed at the top of the screen are located within the attendance zone for the property being searched. - You can select the schools on the top slider or on the map to show details about the school. - Users have the ability to enter an address and the search radius for returning points of interest. - The breakout of the points of interest shows the number of businesses broken up by business category. 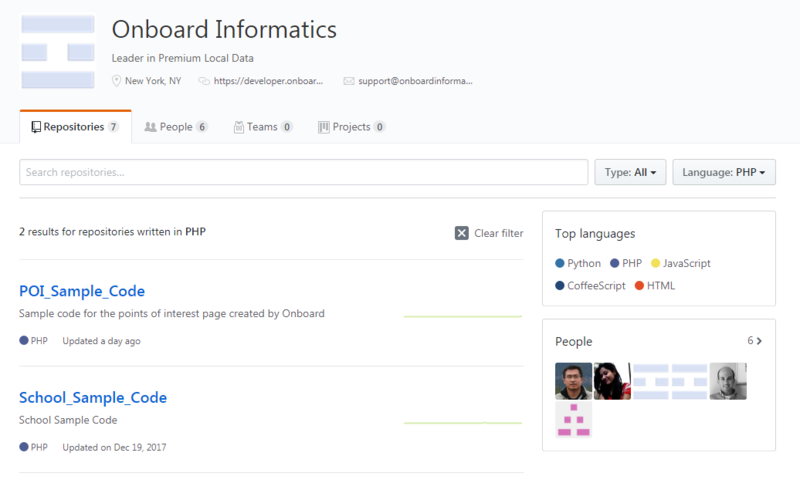 Selecting a business category will update the map to show only those points of interest. - By selecting points of interest on the right-side menu, the business on the map will appear with a larger icon and information bubble. Clicking the location on the map will also highlight the same item on the right-side menu. 2. If you like what you see, get signed up for a free trial API key by signing up here. 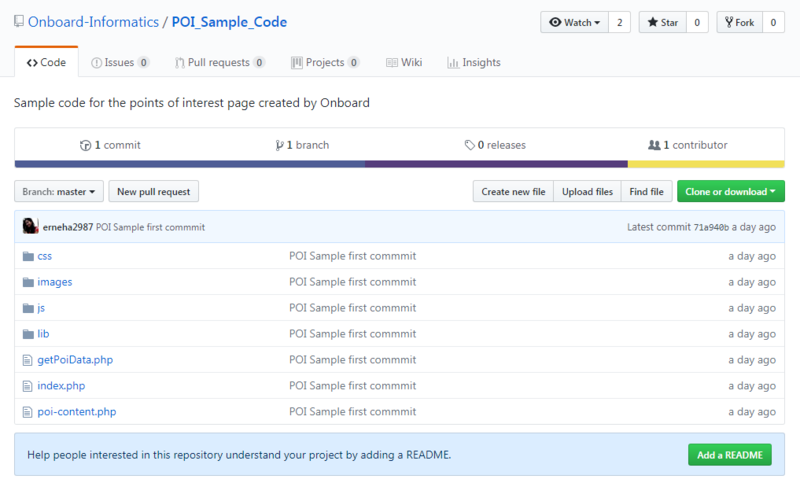 This will give you 30 days to implement the API and make sure that you have time to complete testing. - Users have the ability to enter an address and then search by different geographic boundary levels for community data. 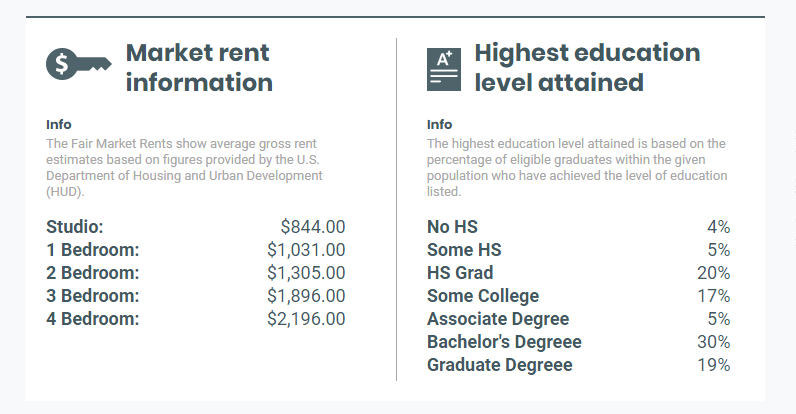 - The bottom section of the page shows the fair market rent for different sizes of homes as well as the highest education levels achieved in the given area. 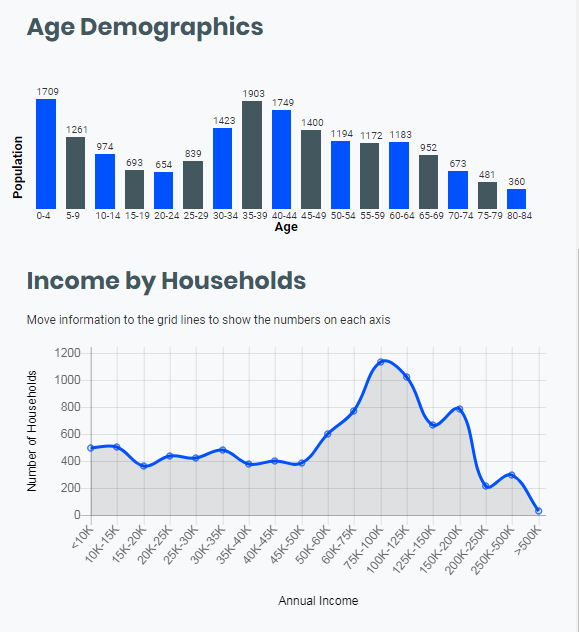 - The graphs on the right side of the page give insights on the housing inventory, age demographics, and household incomes in the given area. Remember that you can select any of almost 400 fields to show in these graphs based on your needs! - The map will show the boundary data for the zip code, city, or neighborhood that you select to give your users a visual of the area.